Using an awesome fulldome film created by the Royal Observatory Greenwich, Creative Space has developed a planetarium show suitable for little people as young as 6 months old. 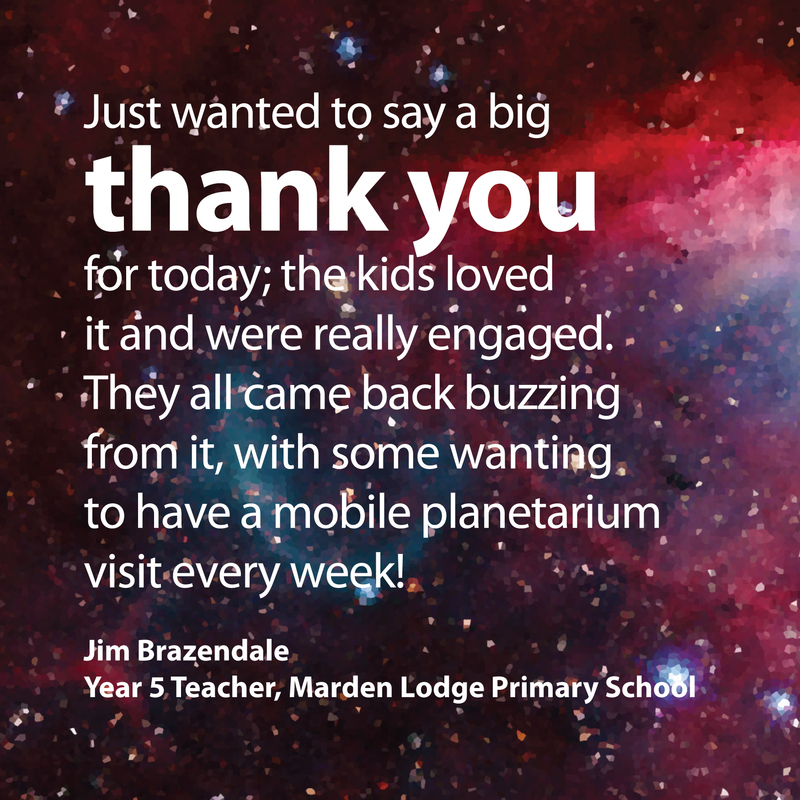 Amanda Twyman, PA to the Head of Early Years at Hazelwood School Nursery & Early Years Centre in Oxted, Surrey, challenged us with the task of creating a show that would immerse babies, toddlers and preschool children in a space-themed planetarium show. We came up with the idea of adapting the Astronomy Photographer Of The Year 2016 film into something that would hold their attention, whilst capturing their imaginations. As the children were so very young, dialogue was of no use at all, so the sensory nature of the film was perfect, using a mix of animation, moving and still images, together with audio and just a few words about the film for the childcare leaders and staff. The first group, with the youngest children, all aged between 6 to 12 months, was the biggest challenge. As the babies were brought into the dome, almost all of them were sobbing. But the sobbing soon turned to delight with the Fledgling stargazers bewitched as the images moved and transformed around them, all the while being swept along with a gentle, uplifting soundscape. The Leader’s expectations were fairly low to begin with, being unsure whether the infants would be able to cope inside what must have seemed to them a giant scary igloo! But at the end of the show, after a full half hour in the dome, the little Fledglings and their Leader were suitably calmed by their sensory experience. So the ‘Sensory Astronomy Show’ will now be added to our growing list of special planetarium shows, alongside our ever popular Interactive Sky Tours. The Sensory Astronomy Show is also perfect for all learners and individuals with special educational needs and will have its next showing at St John’s SEN School & Specialist College in Seaford, East Sussex.